Home » »Unlabelled » She waited on this grumpy old man every day without complaint. But when he passed away, she found out who he really was. She waited on this grumpy old man every day without complaint. But when he passed away, she found out who he really was. Anyone who has ever waited tables knows that you have to keep smiling, even when you end up with a table of guests who are doing anything but. Waitress Melina Salazar is a master of this principle. When faced with a customer who never stopped complaining, grumbling, and making trouble, she always managed to serve him with a smile. 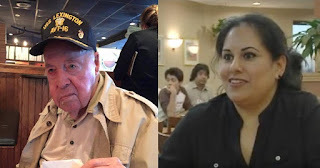 In the end, she was the only waitress at Luby’s in Brownsville, Texas, who agreed to serve him at all. This customer’s name was Walter “Buck” Swords. 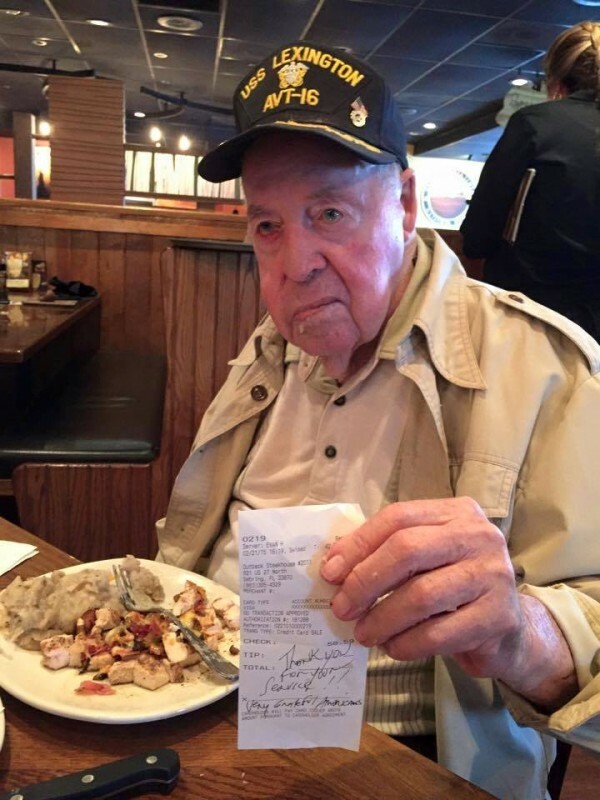 He was an 89-year-old WWII veteran. He was cranky and rude, sometimes even insulting the person trying to take his order. It was a nightmare for the waitstaff at the restaurant he patronized almost daily. But there was Melina, day after day. With endless patience, she took his orders without a word of complaint and always managed to bring him the food just the way he wanted it. (He liked his meals piping hot, enough to burn a normal person’s tongue!) Despite his bad temper, she always responded with a generous smile. After seven years of their daily routine, Walter didn’t turn up. Melina began to wonder where he was. One day, she ran across his obituary while reading the paper. Soon afterwards, she was surprised when lawyers contacted her to inform her that since she had always been so nice to him, he had left her an inheritance. She could hardly believe it. When you make a choice like that, day after day, to receive someone’s grumbles with kindness, you usually aren’t thinking about a reward. And yet she was being rewarded with the biggest tip of her life, and she had certainly earned it! The veteran left her $50,000 and a car. This story is a good reminder that what can seem like a small kindness to us, might be worth a huge amount to someone else. And we never know what it will lead to, whether it comes back to us or gets passed on to someone who needs it even more! What Did the Buddha Say About Eating Meat?